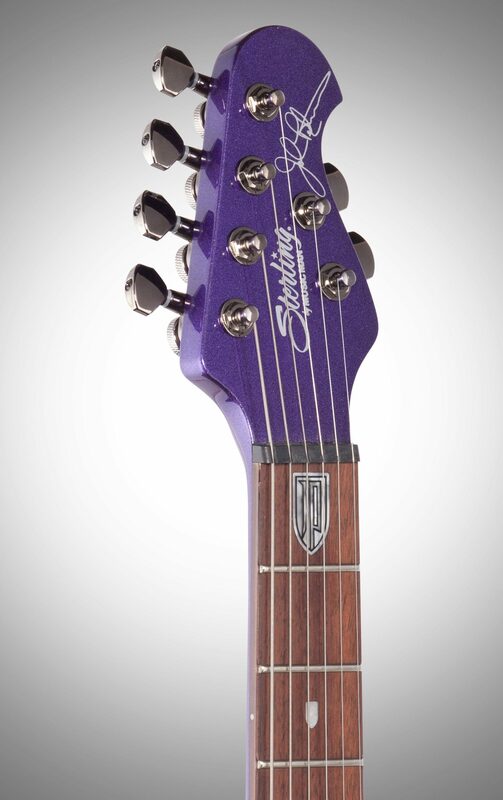 The crown jewel of the John Petrucci signature line, the "Majesty" now features a line of exciting metallic finished models based on the iconic BFR shieldless Majesty models. 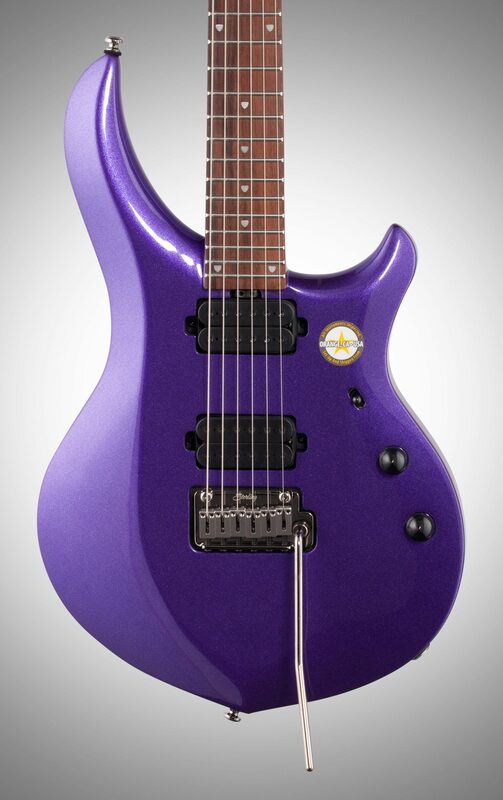 Featuring a mahogany set neck with unparalleled fret access, a 3-way pickup selector and a 12dB "Push-Push" volume pot that provides one of the most innovative playing experiences. 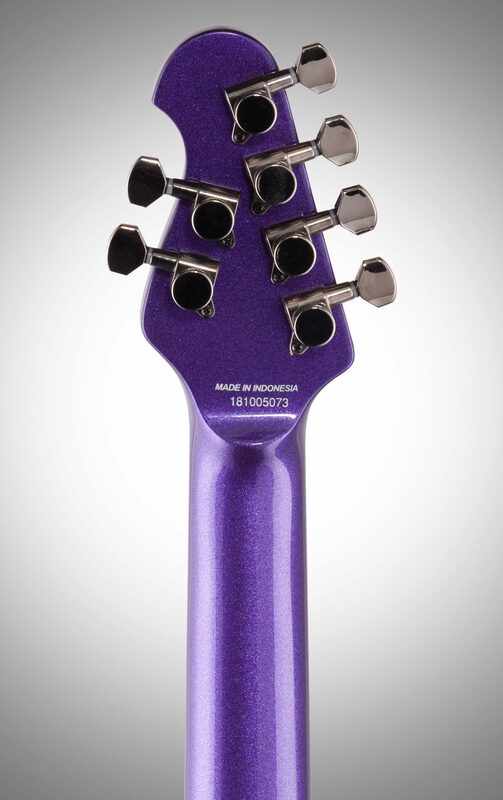 The Majesty will be available in Pearl White and Purple Metallic. 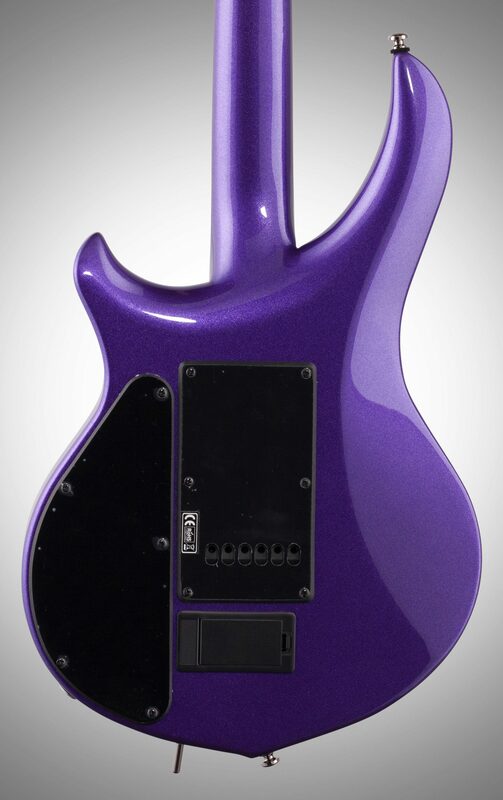 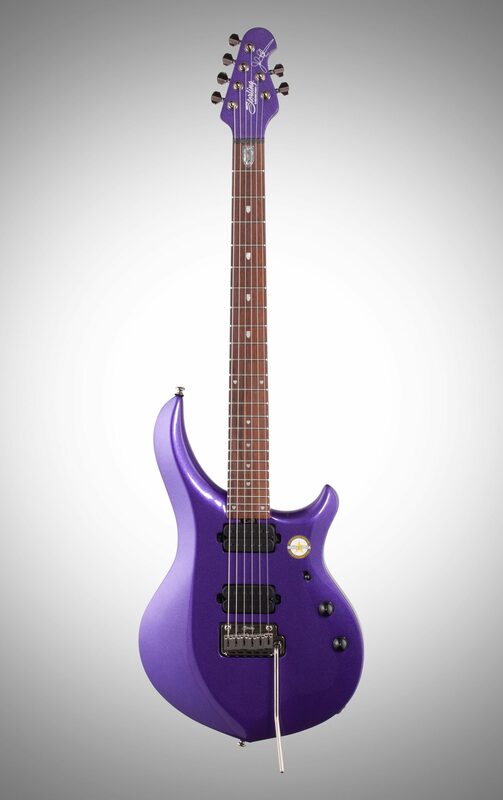 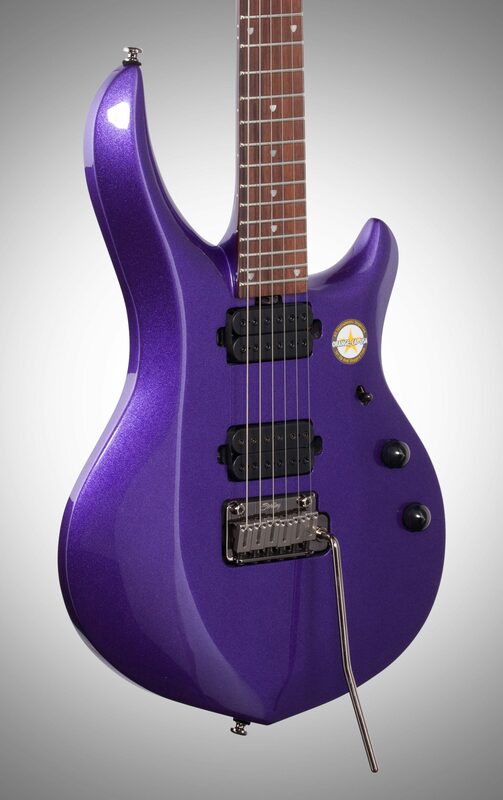 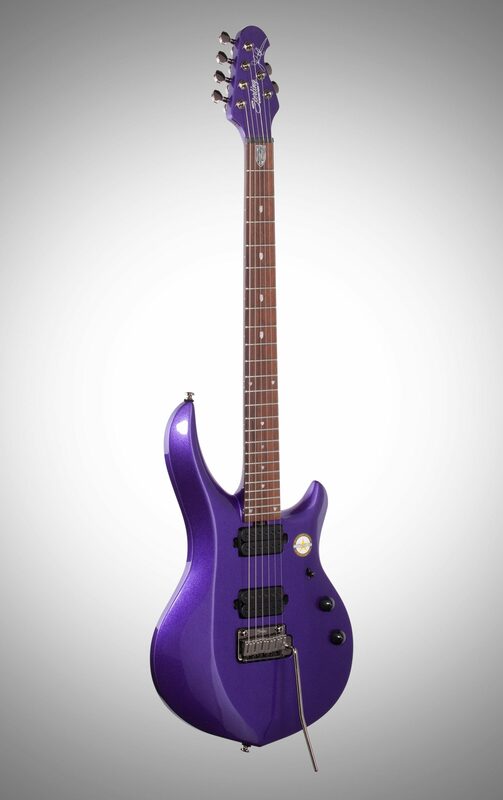 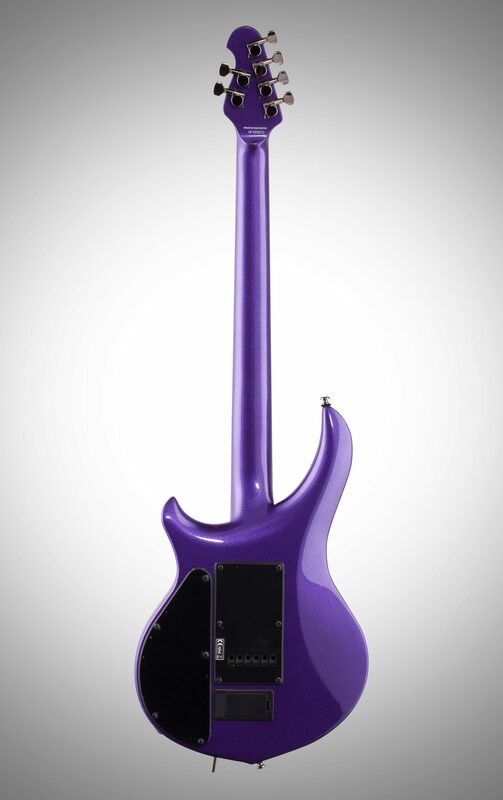 zZounds is an authorized dealer of Sterling by Music Man products.